This is our most popular Shaker kitchen door design. The Shaker Houston has 100mm rails and stiles surrounding the hand finished recessed centre panel and chamfered corners. The Shaker Houston door and drawer front design will look fantastic in all properties. Shaker Houston drawer fronts start from £2.10. 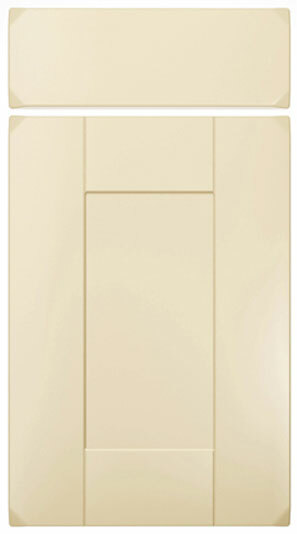 Click the button to purchase a Sample Shaker Houston design kitchen door. The Shaker Houston design is available in ALL non-gloss finishes. The Shaker Houston design is available in ALL high gloss finishes.